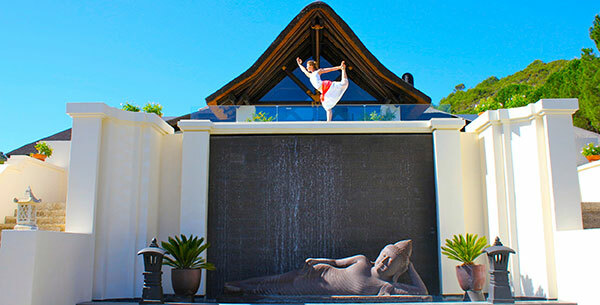 Up your yoga game and strike your poses in a new destination where you can rebalance your mind, body and soul whilst reconnecting with nature. From Spain to New Zealand, with our amazing international yoga retreats all over the world you are sure to find the right destination just for you! Wake up to beautiful new surroundings and kick start your days with sunrise yoga classes followed by a range of fun activities and indulgent spa treatments. Not only will your international yoga retreat be an unforgettable experience but you will also experience the diverse benefits of yoga including weight loss, stress reduction and mood improvement. Choose how you want to spend your international yoga retreat with as many or little activities as you wish and allow yourself the therapeutic spa treatments your body desires with our tailor-made wellness holidays. Flee from your hectic lifestyle and hide away in Spain’s beautiful Sierra de Las Nieves Nature Park at Shanti Som. In serene surroundings filled with Oriental inspired tropical gardens, you will experience a strong sense of relaxation whilst reviving your senses. As you spend your days focusing on yourself on a yoga holiday for singlesyou will soon feel reconnected with your inner self and experiencing a new level of calmness. This international yoga retreat will help you balance your mind, body and soul and help you find more appreciation in life as you gain a more positive outlook to life. Escape to this beautiful haven of tranquillity, for an international yoga retreat set at the scenic foothills of India’s Himalayas. 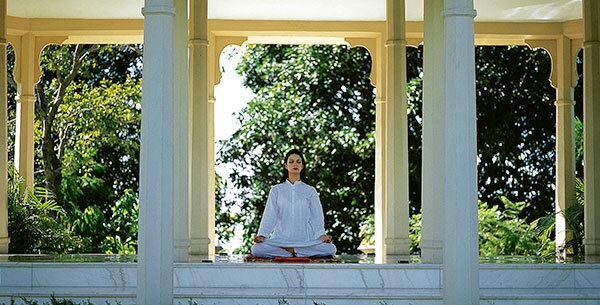 Find your mental, physical and spiritual balance on a yoga and Ayurveda holiday as you fuse your practice with Pranayama and a series of holistic spa treatments. 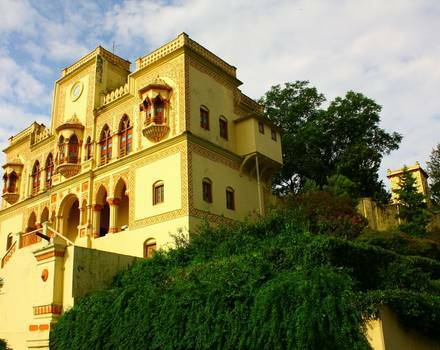 This international yoga retreat is primarily focused on improving your well-being holistically with the combination of Ayurveda, yoga and meditation, alongside a healthy and rejuvenating spa cuisine. 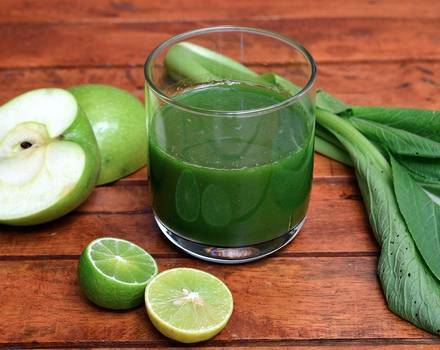 Complimentary cooking demonstrations and workshops will deepen your understanding of holistic living, helping you to get on track for a maintainable healthier lifestyle. Nestled on the beautiful Thailand island of Koh Samui, embrace the opportunity to learn yoga on holiday with yoga classes featuring a variety of different styles, including Hot Flow, Ashtanga, Yin and Yin-Yang. With unlimited yoga classes and group meditation you will soon find yourself more in touch with yourself than ever before on this international yoga retreat. Group Pilates reformer or core suspension classes, as well as special introductions to yoga for beginners, are also offered. Take home and show off your new Thai culture inspired skills with additional activities, such as ornate fruit and vegetable carving. 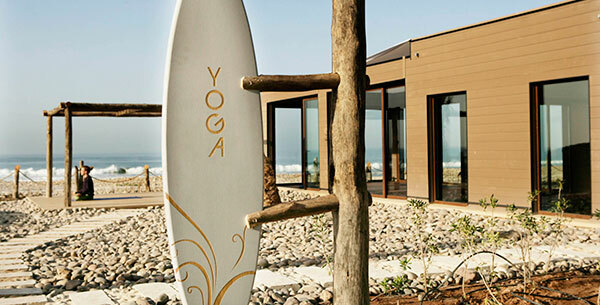 Set on the southwest coast of Morocco, Paradis Plage is a real yogi paradise with daily sessions held in their beautiful yoga pavilion or on the beach itself. 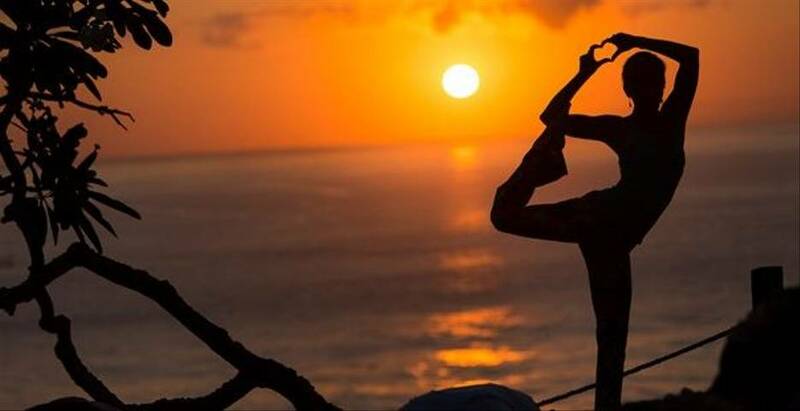 Start your international yoga retreat with a sunrise yoga session, before taking to the water on a yoga and surfing holiday where you can make the most of the fabulous location by the sea. Spend the rest of your day being pampered by a wide range of traditional French and Moroccan spa treatments, including a relaxing candle massage, allowing you to return home from your international yoga retreat feeling completely replenished. 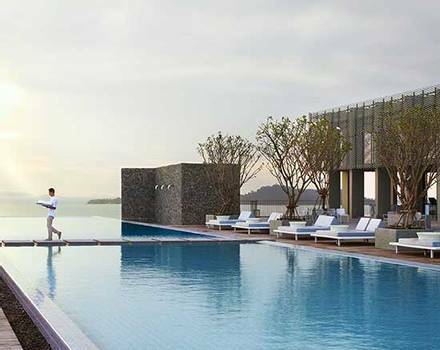 Situated in its own secluded bay of the Musandam Peninsula Oman, Zighy Bay boasts a stunning location for an international yoga retreat, with spectacular mountains on one side and a beautiful beach on the other. Find your inner zen on a yoga and spa holiday as you combine personalised yoga, Pranayama and guided meditation, with a variety of spa massages, including a Thai massage and hot stone massage. Add a sense of adventure to your yoga retreat as you enjoy a multi-activity holiday taking advantage of additional classes and activities, including beach bootcamps, tennis, water sports, mountain trekking and biking. Hide away in paradise on this private Caribbean island which boasts an endless white beach with clear turquoise waters, a serene setting for an international yoga retreat of the utmost luxury. Offering the healthy combination of a transformative yoga and Pilates holiday, daily classes are held to improve your practice as you enhance your flexibility and tone muscles. Indulge in treatments at Parrot Cay’s spa which focuses on detoxifying and purifying the body whilst treating the mind, body and spirit holistically. With its treatment rooms located in pavilions on the beach, enjoy the soothing peaceful views of the North Caicos Channel. 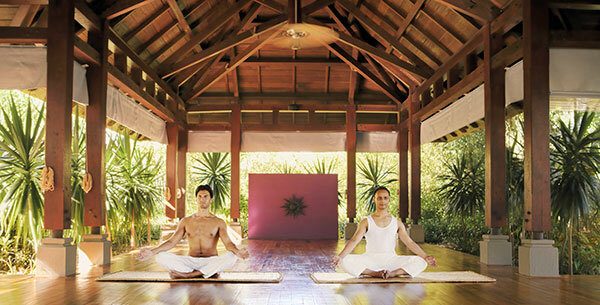 Enhance your well-being and restore your overstressed body with this revitalising international yoga retreat on the beautiful south coast of Mauritius. After an initial wellness and fitness consultation, start improving your physique with personalised fitness training sessions, Pilates, and personalised yoga lessons. Make the most of your coastal setting on a beach yoga holiday where you can enjoy other fun activities available, such as snorkelling and dolphin watching. End your active day at the Nira Spa which will revive your senses and restore your mental well-being through a mix of beauty and holistic treatments, including slimming bodywraps and Ayurvedic therapies. 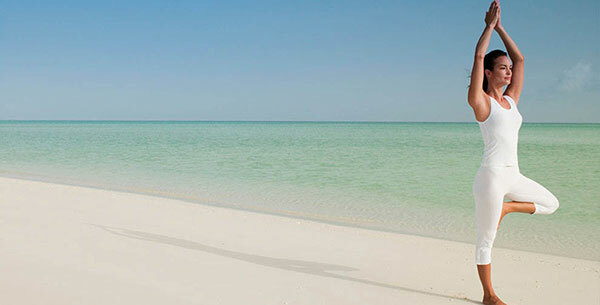 Work on your overall wellness with an action packed international yoga retreat on the beachfront of Miami. With daily private yoga and personal training sessions you will improve both your physical and mental health on a yoga and fitness holiday that will boost your energy levels. Never will you experience a moment of boredom with a wide range of activities, such as boat trips on the Intracoastal Waterway, culinary tours, kite surfing, museum tours and cultural excursions. Return home from this international yoga retreat feeling stronger and re-energised, having boosted your well-being and experienced the vibrant Miami lifestyle. 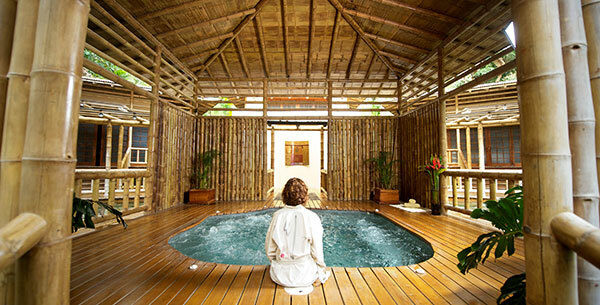 Escape your hectic lifestyle on an international yoga retreat in the beautiful tropical country of Costa Rica. With a series of private yoga or Pilates lessons, you will soon find harmony and peace between your mind, body and soul, helping you to restore your overall wellness. Explore the exotic natural surroundings on an ATV adventure or wildlife watching tour to experience the magnificence of Costa Rica. Just a stone’s throw away from the Nicoya Peninsula beach, cool down in the tropical waters by going surfing, snorkelling or stand-up paddle boarding, before unwinding on a beach spa holiday with relaxing massages at Spa Bambu. 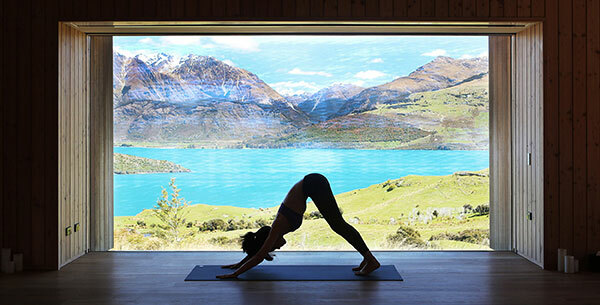 Be adventurous with your international yoga retreat at Aro Ha, located on New Zealand’s beautiful sub-alpine terrace overlooking the stunning Lake Wakatipu. This extraordinary location offers easy access to the remarkable sub-alpine hikes in picturesque natural landscape. The mixture of yoga, meditation, TRX strength training and sub alpine-hikes, combined with a series of daily therapeutic massages, will give your body an entire makeover; toning the muscles and relieving any tension your body may have. Return home after a truly unforgettable yoga and meditation retreat having reconnected with your inner self and with nature. Talk to one of our Travel Specialists on 0203 397 8891 or contact us here to discuss tailor-making your perfect yoga holiday.